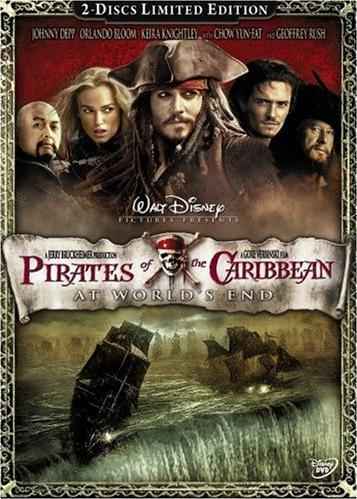 In my ongoing quest to determine which of my DVD's I like and will keep (and eventually switch to Blu-ray), and which I am going to get rid of, tonight's On the Fence offering is Pirates of the Caribbean III: At World's End. This is a pretty shlocky series to begin with, to be sure, although in the first movie, The Curse of the Black Pearl, Johnny Depp's pirate-slash-rock-star performance, channeling (in the actor's words) Keith Richards, was pretty riveting. Johnny's still cute, still slurring his words beguilingly, but the shtick is wearing a little thin. And hey! YouTube rides to the rescue! After watching that, I was reminded of perhaps the last great Rolling Stones video, "One Hit (To the Body)." Made at a time when Mick and Keith were not getting along AT ALL, there's a great deal of scowling, murderous looks, posturing, and guitar-swinging (at Mick, not into the air), which actually made for a good watch. You expected Keith to pounce on Mick any minute, except of course they would have edited that out. So, in watching and thinking about this, I decided to merge it all together into one humongous post.